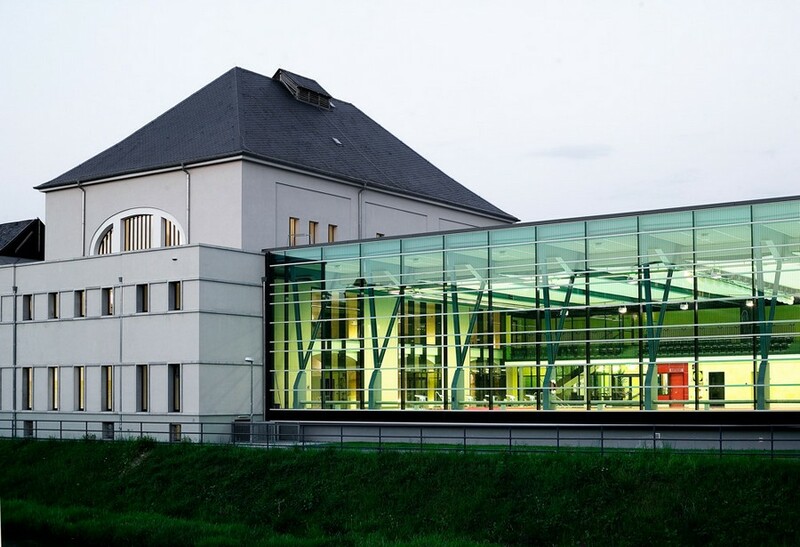 This municipal swimming pool is located in a small German town of Plauen not far from the Czech Republic border. This is the world’s first building created with protection of birds in mind. 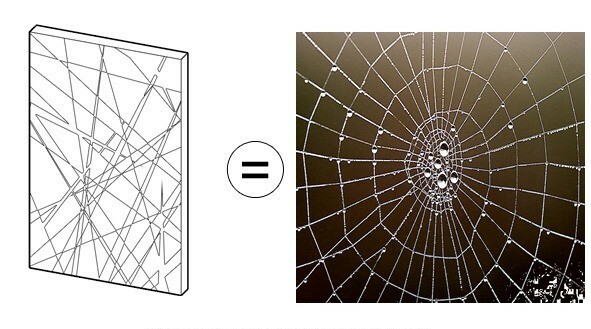 Ornilux’s idea is a classical example of applying biomimicry in the sphere of design: for people this glass seems absolutely transparent and ordinary in any lighting, while birds see a slight spider web pattern reflected in sunlight and fly the building around. The same strategy of protection is used by spiders: they want small insects to get trapped in transparent threads, while big birds can just tear it and have to be deteriorated. The web reflects ultraviolet with the help of white silky zigzag conspicuous ornaments included into it – they are called stabilimentum. The bird sees them and avoids the webs. 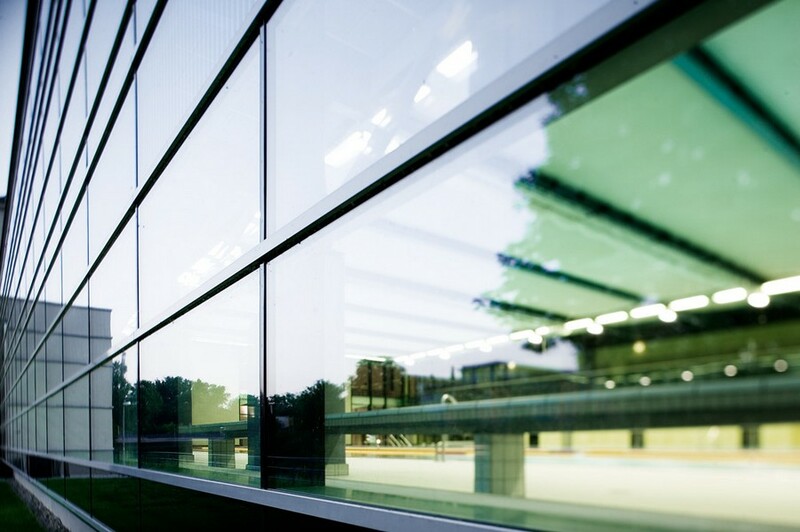 In 2006 a German Company “Arnold Glass” in cooperation with Max Planck Institute for Ornithology came up with an idea of how to tackle this problem in designing buildings. Now spiderweb glass is used around the globe. Just imagine that according to the statistics just in North America about 100 million birds die from crashing into buildings and bust stop booths. 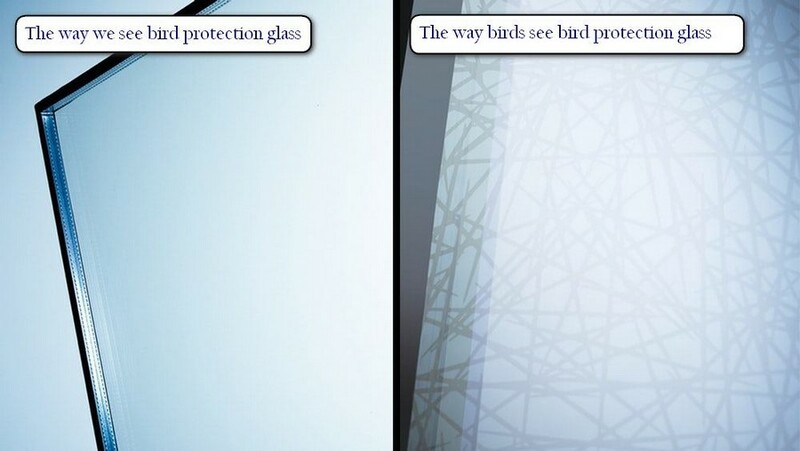 And after the innovative glass had been introduced in Germany, bird emergency rates in this country dropped by 76%. 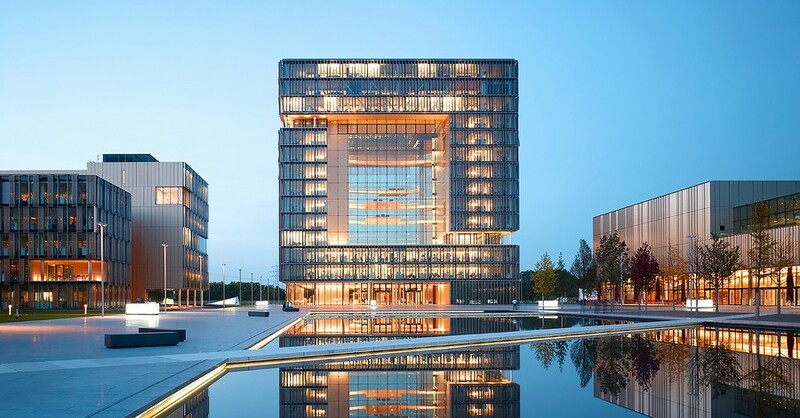 A skyscraper in the business quarters of Western Germany designed by JSWD Architekten is one of the most impressive samples of a homeostatic facade project. The concept of “homeostasis” of biological systems stands for their coordinated actions in response to changes of the environment. Nowadays this is the strategy that concerns biomimicry experts more than others. For the humankind learning homeostasis from organic kingdoms means learning to build entirely closed quarters that would independently heat, aerate, light and recycle their wastes for themselves. 400,000 metal “feathers” on the Q1 building are attached to 3,150 steel railings. Each of them moves and “breathes” adapting for the changing environment. 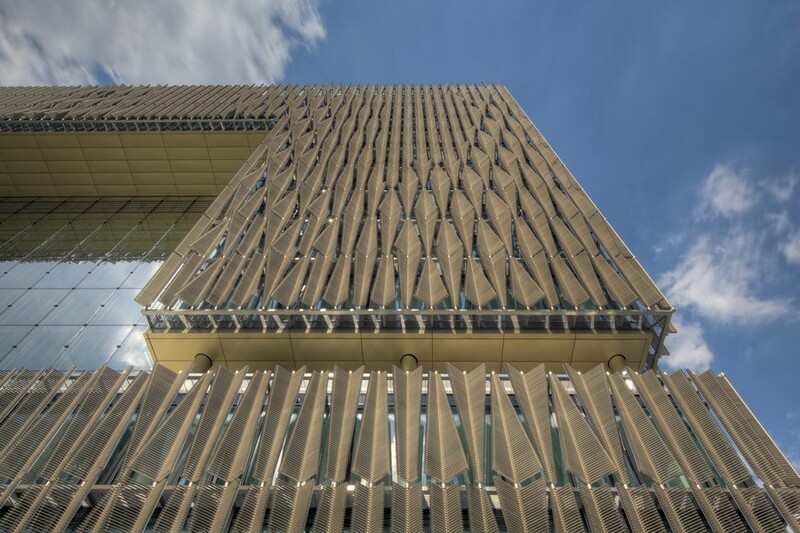 1,280 moving units can completely close the panels, protecting the facade from direct sunlight and move for 24 hours regulating the level of light and aeration inside the offices. 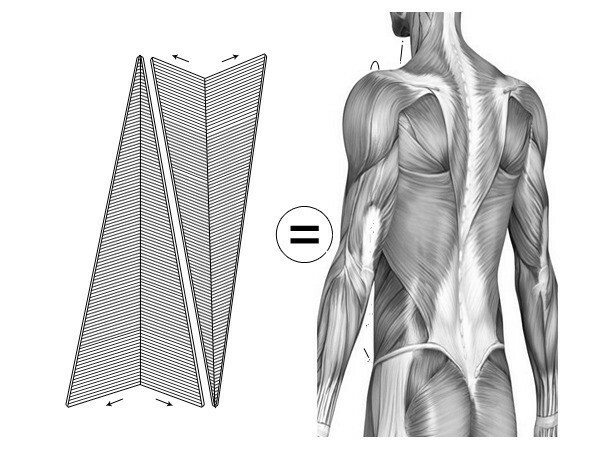 Triangular, rectangular and trapezoid “feathers” adjust independently cutting the electricity bills of the company. What does it have to do with biomimicry? These self-regulated systems are the result of architects and scientists watching the mammals’ muscles contract and lengthen.